The Four Nations is only a couple of weeks away but we have a one-off Test between Australia and New Zealand in Perth on Saturday night. Australia won the Anzac Test 16-0 in Newcastle in early May, but the Kiwi’s had won the previous three Tests between the two countries, and two of those were in Australia. 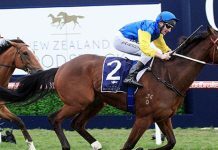 As is normally the case, Australia opened up clear favourites at $1.40 to win in Perth, but the bets have been heavily in favour of New Zealand ($3-$2.90), and even more so with the line moving into +7.5 from +8.5. The Four Nations series will open up next Monday. The new season of the USPGA Tour begins this week and unfortunately for the organisers of the Safeway Open the draw card; Tiger Woods has delayed his comeback. We wait with interest to see when Tiger’s comeback will happen! In a wide open market, Paul Casey is the $13 favourite with UBET to win the Safeway, followed by Matt Kuchar ($16) and the well backed Phil Mickelson at $17. Emiliano Grillo won this event last year and is a $21 chance. There are eight Aussies in the field, and they are all well down in the betting with the shortest of those being John Senden at $81. The British Masters will be played at The Grove,, Hertfordshire beginning on Thursday, and this is proving to be quite a good betting event as well. 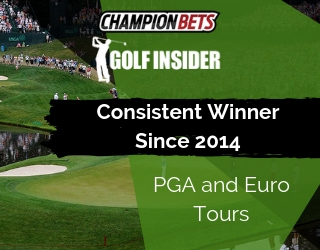 Bernd Weisberger is the narrow $15 favourite over Alexander Noren at $17 but several names near the top have met with a lot of support including Ross Fisher ($19), Shane Lowry ($21) and Danny Willett ($26). Matthew Fitzpatrick won this event last year when played at Woburn, but he is also solid in the market at $31. Bathurst always delivers as a spectacle, and the finish on Sunday was something else. Car 19, (Davison/Webb) was awarded the race even though they never actually led for a lap. The 15 second penalty to the first car over the line (Whincup/Dumbrell) saw Car 88 relegated with Davison and Webb gaining victory. There will be a subsequent appeal to that time penalty, but for the purposes of betting, bets are paid on ‘podium placegetters’ so from that end of things, bets were resulted on Sunday. It is sports version of ‘correct weight’, as we know with racing, athletics, motor racing etc, results can be overturned in the future for any number of reasons, so clearly there needs to be a finite point in time for bets to be paid, and that has stood the test of time. For the record, Car 19 opened at $31 a month ago, was $61 on race morning, and was $51 for the major part of the race. The teams’ event moves to the Gold Coast the week after next where there will be two races for the weekend and race one is now open. There are four races to go in the MotoGP season, and Motegi will host the Japanese GP this week. Dani Pedrosa won the last race in Aragon, and his opening price there of $41 was one of the biggest of his career. Pedrosa comes to Japan having won last year’s event, so he is well up in the betting this week. Race favourite Marc Marquez finished second in Aragon, and hasn’t won here in three previous attempts having finished second to Jorge Lorenzo in 2013 and 2014, and finished fourth last year. Lorenzo and Valentino Rossi (second last year) round off the top four chances in betting and looking at the results this season, any of the four could win. The second last meeting of the Superbike season will be held in Jerez, Spain this week before the season finale in Qatar. Chaz Davies won both races in France a couple of weeks ago and he was a $7 chance to win race one after qualifying and the $2 favourite to win race two on the Sunday. Jonathan Rea went in as a red hot favourite ($1.55) to win the opener after qualifying fastest, and that duo, along with Tom Sykes, are expected to again make up the bulk of the market. Sykes defeated Davies in race one here last year before Davies won race two when both races were held on the same day. While most Aussies are just shaking their heads at the antics in the upcoming US Presidential election, it is a serious betting event. This time last week Donald trump had support at $3.25 with Hilary Clinton at $1.35, but following on from revelations of Trump’s past leading into their second debate earlier in the week, he is now out to $4.75 with Hilary Clinton into $1.18. Fastest heat winner Sheza Keen Size has been withdrawn from the Gold Coast Cup final to be held at Albion Park on Thursday night. 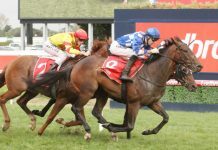 Sheza Keen Size was the $2.60 fav to win the Cup but was unfortunately injured in a track gallop on Monday. Tony Brett has three runners in the Final and two of those; Zabdon Ferrari and Thirty Talks, are the new $2.75 equal favourites. Both were impressive heat winners, and both have different racing styles. Zabdon Ferrari is normally a leader, but may have a few issues with Split Image on his outside, whereas Thirty Talks is drawn out where he wants to be in box six as he can take time to find his feet. The entire field are all sub 30 second winners around the Albion Park track, so realistically there are a lot of winning hopes. Lazarus is now a warm $2.40 favourite with UBET to win the NZ Trotting Cup in early November. 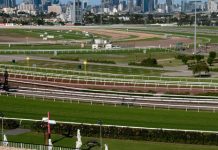 The likely field is starting to take shape with Have Faith In Me a solid second pick at $3.50, with a gap to Smolda ($7) and Titan Banner ($7.50). Christen Me is another Kiwi who Australian harness fans would be familiar with, and he has also been popular at $8. The first round of noms for the Perth Interdominion final closed this week, and Have faith In Me along with reigning champ Lennytheshark head the UBET market at $4.80. There has been plenty of action already with most of that focussed on Have Faith In Me, and no doubt all eyes will be on Menangle on Saturday night when ‘Lenny’ returns from a spell. Jameka will go into Saturday’s Caulfield Cup as favourite with UBET, and although her form suggests she should be clear of the rest of the market, there is plenty of money around to say she can be beaten. 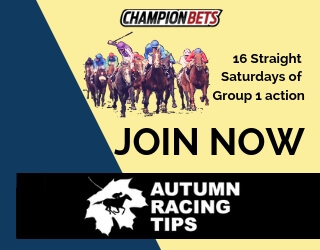 This week the best backed of the imports has been Scottish at $7.50, but there has been a concerted push for the Darren Weir trained Real Love ($8); a proven stayer and impressive winner last start. There is another UBET promo on the Cup, money back up to $50 if your first ‘singles’ bet on the race runs second or third, but check out the terms and conditions on those UBET Channels. Naturally the result of the Caulfield Cup will change a lot of the market on the Melbourne Cup, and that will be updated after Saturday’s race is over. 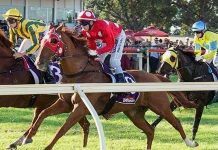 For the moment Hartnell is the $4.80 favourite for the Melbourne Cup and that is unlikely to change as he isn’t going around this week, but we will be on the lookout for the big runs at Caulfield. 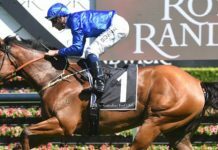 On Hartnell, he remains the $2.70 2nd pick to win the Cox Plate, but all we have seen this week is an avalanche of money for Winx, and also plenty of bets coming in for Yankee Rose. 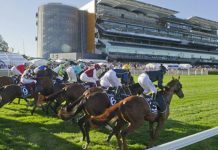 Winx has attracted around $30,000 since winning last Saturday, and has edged in a little from $2.20 to $2.15, while Yankee Rose has maintained her price of $21 since winning in Sydney, but there are a stack of small bets each way for her.